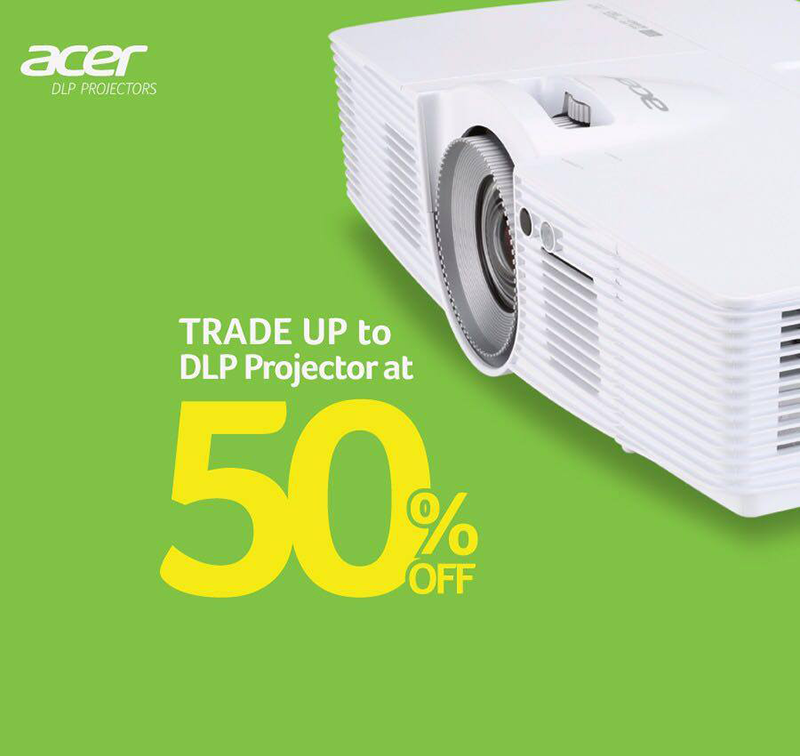 Acer Philippines Announced Trade Up To DLP Projector Promo At 50% Off! Home / accessories / acer / news / Acer Philippines Announced Trade Up To DLP Projector Promo At 50% Off! Acer Philippines has announced the "trade up" promo where you can exchange your existing projector for a chance to own a new DLP projector. Either it is working or non-working, all you need to do is trade your old projector unit when buying an Acer P1185 projector at participating stores here in Metro Manila to avail the large 50% discount. Then fill out the necessary information upon purchase at Cyberzone ares that includes SM Megamall, SM north EDSA, and SM Mall of Asia. The promo started last August 22 and will end this September 11, 2016. The Acer P1185 projector paired with projector screen and clicker worth 22,990 Pesos before is down to just 11,495 once you trade your old projector. Note: Any projector is qualified for the trade-up promo except overhead projectors and those with brightness below 2,500 ANSI lumens except except for Overhead Projectors, Portable or Pico Projectors. A maximum of 3 units per end user or company will be accepted for purchase under the promo.